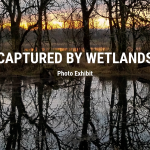 If you’ve never buckled into a pair of waders and tried to walk through a mosaic of deep channels and 10 foot tall cattails, it may be hard to imagine what it’s like to find a beaver dam. It’s often not easy to see past your nose while pushing back brush. This year 23 volunteers helped TWC map 31 different beaver dams in 4 different preserves, walking altogether about 4 stream miles. Each dam was pinpointed on a map during the survey to better understand how they are connected within the watershed. The maps will also help illustrate how water moves through our preserves and how dams may change the landscape of a wetland. As land managers we focus on how wetlands can improve water quality and provide vital habitat for wildlife, including many sensitive and threatened species such as river otters, coho salmon, amphibians and blue herons. By building dams, beavers create and improve wetland habitats so the land can support these species and clean water. However, in urban areas where roads, parking lots and houses are built close to the water or within a floodplain, beavers can also cause conflict. A lot of our urban infrastructure was built before we had careful regulations that keep structures away from water. Nature is a lot more dynamic than we sometimes think, and beavers may choose to build a dam that brings water into areas that can be problematic for our daily lives. As land managers, we understand that beavers can be both extraordinarily helpful to the environment and potentially damaging to our infrastructure. Understanding this is the first step to finding a way to live with beavers. Our surveys map the locations of beaver dams on our properties so we can understand which dams are benefiting wetlands the most, and which dams may pose a threat to a building or road. By knowing the locations of all the dams in a system, we can focus on the dams that may cause conflict and design solutions that reduce flood risks but also allow beaver to continue their good work. For a long time, beavers were considered nuisances. Land managers focused on keeping water moving quickly downstream, which is exactly what beavers counteract. 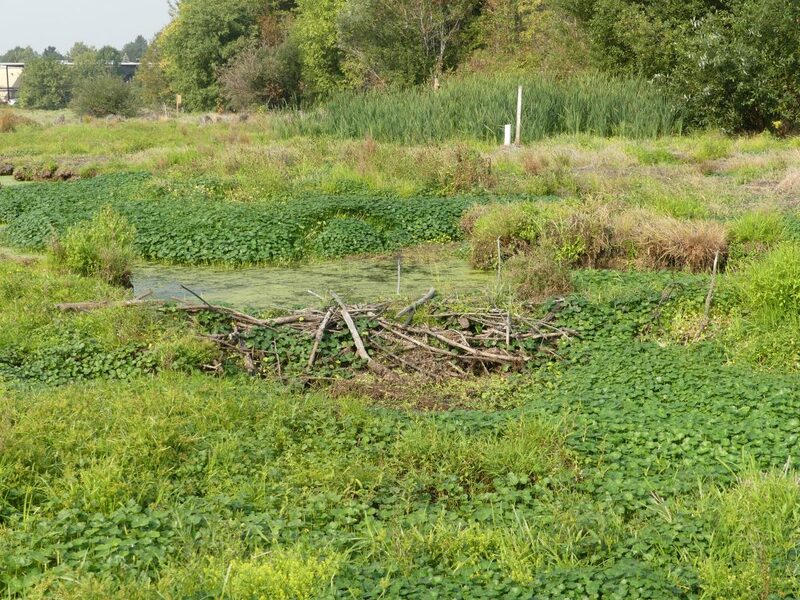 We now know that having more intricate wetlands with pools and slow water is beneficial to water quality, flood management and critical habitat. We look forward to seeing how our survey maps grow. As we continue to add information over the years, we hope to see how the dams react to things like wet and dry periods, upstream development, and vegetation management.